Of course, as no-sports Englishman (currently) in New York I am not able to fathom all the intricacies of baseball, but then I cant do the same for cricket, the British equivalent, either. It wasn’t difficult to get what the New York Yankees mean to the people of this fair city. That happened without me going to one of their games, or even watching a whole game on TV, so fundamental is it to what being a New Yorker means. 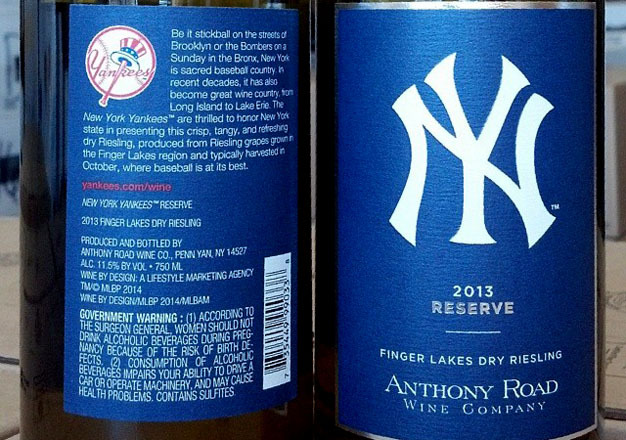 Now the Yankees have their own Riesling, from Anthony Road in the Finger Lakes (FLX), which is literally a game changing development for my favorite grape here in New York Wine City (NYWC). When I first learnt about that my jaw literally dropped in shock: baseball and Riesling!? I thought it was baseball, hotdogs and beer. That the Yankees have their own Riesling is a big surprise to me, but not the choice of Anthony Road. It was one of the most consistent Rieslings producers in the FLX over the decade that I have been closely following developments in the region due to the winemaking talents of Johannes Reinhardt (now of Kemmeter Wines just next door) and the successor he trained, current winemaker Peter Becraft. They are also one third of the ‘Tierce’ dry Riesling, a blend of dry Rieslings from Fox Run, Red Newt and Anthony Road, the 2010 vintage of which was served at the lunch for the 57th Presidential Inauguration (the beginning of Obama’s second term) at the Capitol in Washington DC on January 21st 2013. That and the Yankees Dry Riesling are a sure sign of mainstream acceptance and success for the FLX and the region’s Riesling wines. The way the wine tastes is the final confirmation of the rightness of all this. Although 2013 is a less consistent vintage than 2012 and the ripeness was sometimes clearly less than ideal this wine has generous apple and lemon aromas, lively rather than dominant acidity and great balance. And if you want to have a similar taste experience without the Yankees label for slightly less money, the regular 2013 Dry Riesling from Anthony Road is $16.99. 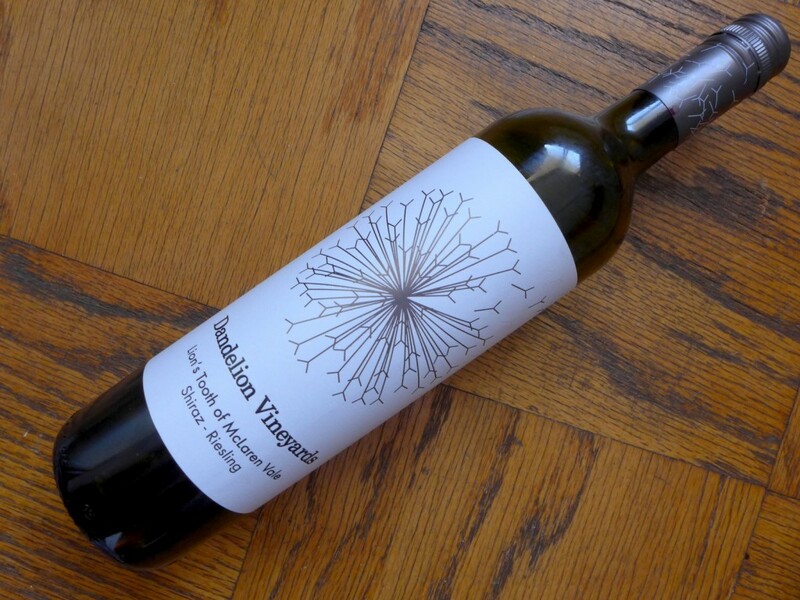 my Wine of the Month is always a kind of letter to you, and hopefully also a gift. I find these wines the same way that I do the other stories on this blog, by following a trail. I was introduced to Charlie Beatty of Wine Works at a New York Wine City (NYWC) tasting last fall, and he struck me as being both an incredibly knowledgable about wine and a larger than life personality who’d be a living legend if Wine Works was in Brooklyn/NYWC instead of Marlton/NJ. I met Elena Brooks, the young Bulgarian winemaker of Dandelion Vineyards in Sydney-Australia back in February 2012. Her dry Rieslings from a century old vineyard in the Eden Valley/SA were the most exciting discovery I made during that visit to OZ, and are featured in BEST WHITE WINE ON EARTH – The Riesling Story (see pages 92-3). So, when I walked into Wine Works the other day to meet Charlie and spotted a Shiraz-Riesling (i.e. red-white grape) Blend from Elena called ‘Lion’s Tooth of McLaren Vale’ on the shelf I had to try it. The label’s claim that this wine, “is a long forgotten but timeless Australian blend rejuvenated,” was seriously fascinating, but as yet I’ve been unable to find out if it’s true that co-fermenting the two classic grapes of South Australia really has the kind of tradition that co-fermenting the red Syrah (the French name for Shiraz) and white Viognier grapes does in Côte Rôtie in the Rhône. Either way this is a stunning red wine for a very friendly price. What makes it so special? Perfume is a word I rarely use for the smell of a wine, but in this case I think it is well deserved. The aromas of rose buds, high-end bitter chocolate and all manner of baking spices pour from the glass. Although it is rich and fleshy, as any good red from the rather warm climate of McLaren vale should be, the wine is anything but jammy, nor do the generous dry tannins make it overly chewy, and the freshness of flavor is delightful. I drained the bottle all too fast, but with every swirl of the glass it only got better, indicating a good aging potential if you can resist it longer than I did. In fact, it has the kind of richness, balance and complexity that I associate with wines that have much higher price tags. Dear Reader, read my lips, “it taste like it costs Between $50 and $100!” And for the nerds in the room the wine is 95% Shiraz and 5% Riesling. PS The online shop of Wine Works says that the current vintage is 2010, but the bottle I picked off the shelf is a 2011.
is currently on sale at Wine Works of Marlton/NJ for $15.98 plus 7% NJ sales tax. Of course, everybody is now drinking rosé, because the sky is often blue and the sun is often shining (an interesting color combo there). I admit I sometimes do the same, although never obsessively or compulsively as I do with certain other wines. 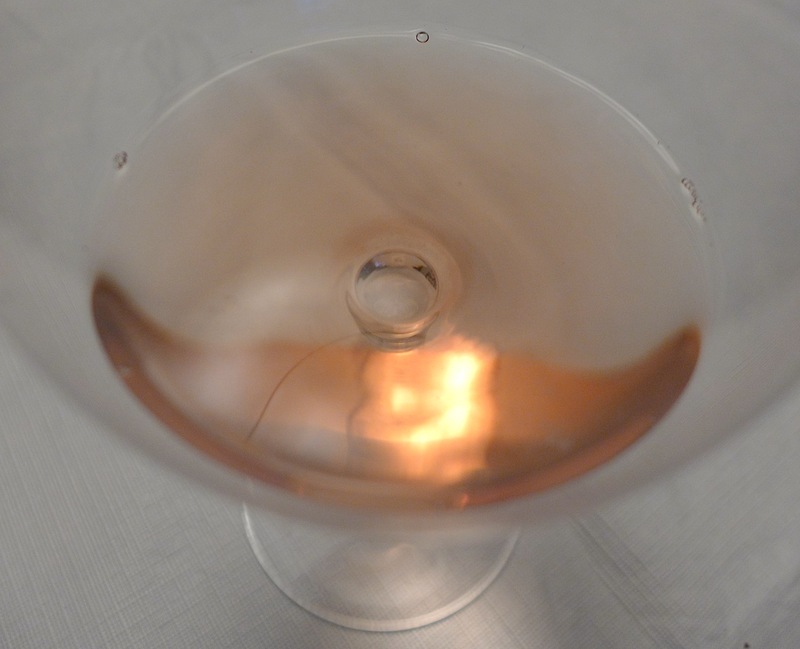 There are several different types of rosé, each of which has its place, but it is really only the bone dry ones drunk with food that ever leave a lasting impression on me. Often they’re rather full-bodied (I’ve nothing against Bandol rosé as long as it still has a certain freshness alongside all that power), and that does limit the quantity I can get down, or even want to get down. This month’s wine of the month is a bone dry rosé with a rather low alcoholic content that makes it a great food wine, but light enough that given enough time (and an adequate supply for the number of people at the table) I could drain the bottle with ease. I know, this is one of those hypothetical arguments that food and wine writers frequently on the basis of little experience, or in this case none. What I mean is that the wine makes me feel that way when I drink it, and this is inspiring. I hereby make the dangerous (for my journalistic credentials) claim that the combination of inspiration and full disclosure is more better than narrow-minded correctness and correct posture without pleasure! Regular readers have bumped into wines from the Berlin lawyer and Hungarian winegrower Horst Hummel here before. Sure his proximity to me when I’m here in Berlin means that I taste his wines more often than would otherwise be the case. However, I certainly wouldn’t taste them so often if they weren’t so strikingly individual with the reds rarely showing perceptible oak, and always tasting elegant but decisively dry tannins, and moderate alcoholic contents. 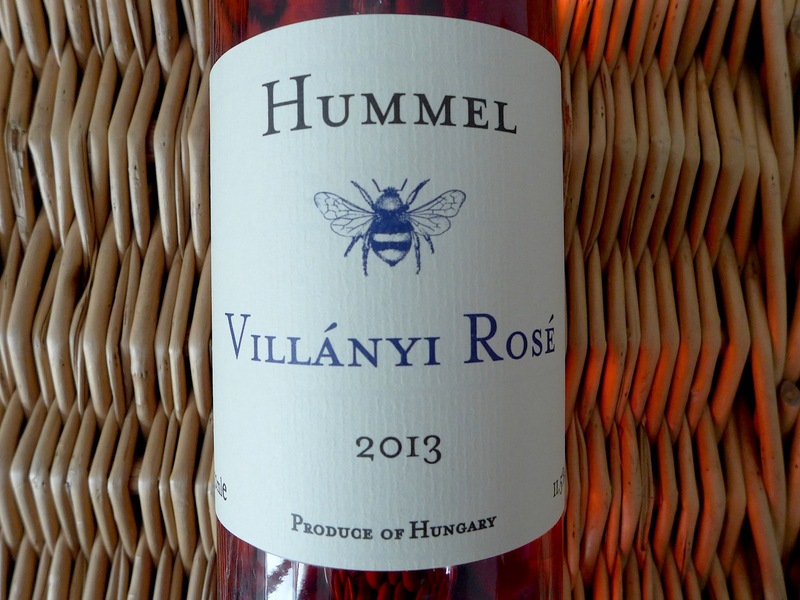 This is Hummel’s best rosé to date and every bit as good as his reds. It’s got just 11.5% alcohol along with a healthy acidity and tannin content, which makes it seriously refreshing and seriously full of character. There’s a touch of bitterness and a very salty mineral aftertaste that seriously accentuate those qualities. In short, this is not a rosé for the those looking for a teddy bears’ pick nick in a glass, nor for those who want Barbie to give them a suggestive smile. This is a grown-up wine for grown-up wine drinkers, and having made it to 54 just a few days I feel obliged to point out that aspect. Let it shine, let it shine, let it shine! There’s a clear family resemblance between 2013 and 2008. As in that vintage some locations (stony soils!) and some winemakers (dedication to canopy management during the summer, strict removal of rotten grapes in the fall!) did way better than the rest. This next thought may not be pleasant for some readers, but a number of 2013 wines have been successfully deacidified. However, there are others that suffer from this being misjudged or even going wrong. In short, there’s everything from a few sensational wines that will a lot longer before they show their best to some wishy-washy stuff. 2011 and 2012 are already getting forgotten by the wine scene, although these were back-to-back top vintages: the 2011s powerful and muscular; the 2012s more charming and elegant. Thankfully today the top wines don’t come out before September and some of the best 2012s are therefore still around. They include the remarkable 2012 Hölle Riesling from Winzerhof Thörle in Saulheim/Rheinhessen. 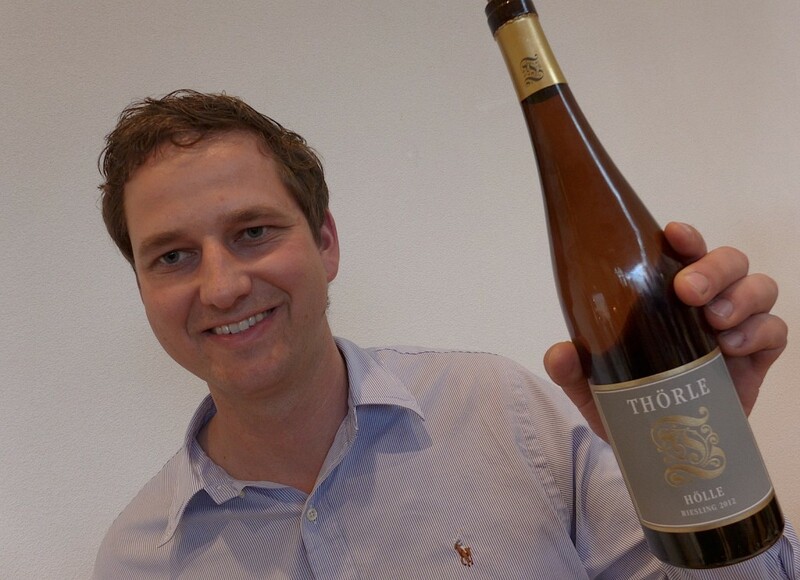 Pictured above is Jungwinzer Johannes Thörle who has matured really fast as a winemaker during the last vintages. A few years back some of his high-end wines were very impressive, but tended to be a little bit top heavy. This wine has a wonderful aroma of super-ripe pear, is rich and concentrated, but the considerable power at the finish is not a jot too much. And the wine is just entering its best youthful phase. I’d say that it was up there in the first league of Rheinhessen dry Rieslings alongside the best GGs from the established VDP producers! More seductive and charming is the 2012 Frauenberg Riesling trocken from Arno Göhring of Weingut Göhring in Flörsheim-Dalsheim/Rheinhessen (just around the corner from the famous Keller estate). All manner of yellow fruits pour from the glass as if it were horn of plenty, and there’s a great balance between the full body, ripe fruit and fresh acidity. For this evening this is a great bottle of dry Riesling and a no-brainer for just about any kind of fish dish (also Southeast Asian or Chinese). With wines like these around nobody needs to rush to the 2013s, all the really successful dry Rieslings from which need some time, even if its only a couple of months in some cases. This is a wine I’ve written about before, because when the first vintage (1999) was first released it was the first innovative American Riesling of the modern era, and because it subsequently went on to become the benchmark against which all new drier style American Rieslings are judged by the somms and wine merchants. Since made Bob Berthau became the chief winemaker of Chateau Ste. Michelle in Washington State a decade ago he and Ernie Loosen of the Dr. Loosen winery in Bernkastel/Mosel have been one of Planet Riesling’s great winemaking teams and Eroica has gained in charm and brilliance. 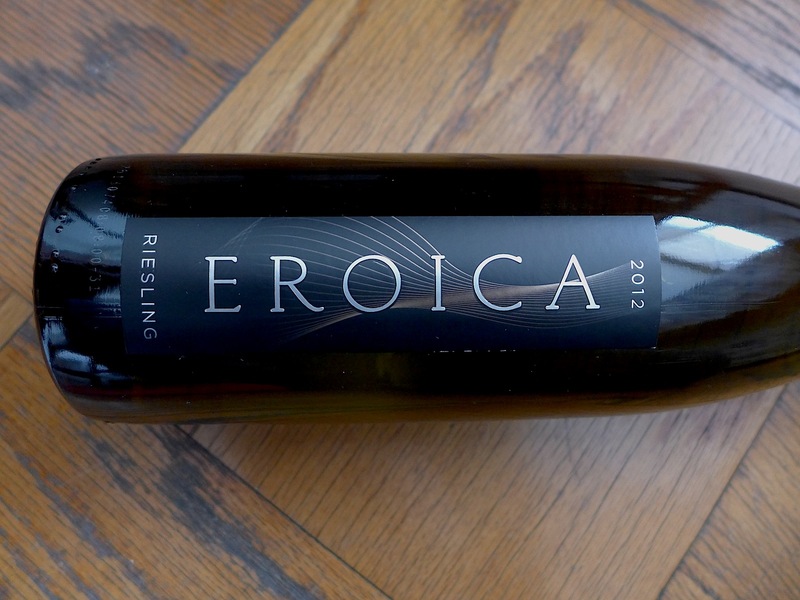 The 2012 Eroica with its vibrant white peach and pink grapefruit aromas is at once juicy enough to be a no-brainer, but also offers a lot of subtlety if you give it some time in the glass and pay close attention. It is also a Riesling that is dry enough, but not too dry (like all good Washington State Rieslings its not short on acidity!) to be a great combination with a wide range of food. I pan-fried a piece of king salmon and cooked some green asparagus with pesto and it was damn near perfect with it and made it feel like spring had already arrived in New York Wine City, although the temperature was still below freezing. I found it at Trader Joe’s wine store just down the road on East 14th Street where the price is very friendly (I give the inclusive NY sales tax price) compared with the $20 plus state tax norm. My humble apologies for the delay in posting the new wine of the month, but as soon as I got back to NYWC the last vital round of corrections of BEST WHITE WINE ON EARTH – The Riesling Story, landed on my desk and there was no choice, but to push everything else aside. I only just completed that task and writing some urgent columns. Of course, I’m well aware that you’re all going to say I’m totally crazy for declaring a wine made 97.6% from kiwis and 2.4% from apples in New Hampshire my wine of the month. 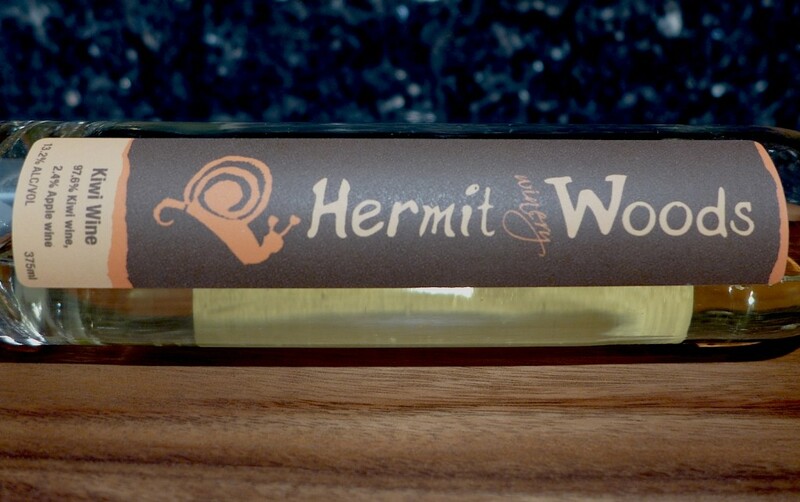 And honestly, before I met Ken Hardcastle from Hermit Woods Winery I also couldn’t imagine that something made that way could be of interest to anyone who likes good Riesling (or, for that matter, other wines made from the co-called “noble” grape varieties). But something I learnt during the last years is that the world of wine is very much bigger and fuller with surprises than any of us, including me, can imagine. All of us have convictions and suffer from them, because they create a rather rigid framework of preconceptions and prejudices which shape the way we see the world around us, and how we taste the world of wine. The reason I couldn’t imagine a kiwi wine tasting good is that the kiwi was a fashion fruit during early my twenties, when it made New Zealand seem cool long before the Cloudy Bay Sauvignon Blanc did or anyone had thought of filming the Tolkein novels on those green islands in the South Pacific. Then, just over a decade ago I had my first epiphany with fruit wines when I encountered the apple and pear sparkling wines from Eric Bordelet in Normany/France, then Andreas Schneider of Nieder-Erlenbach close to Frankfurt/Germany started producing equally astonishing sparkling and still wines from those fruits. Those experiences opened my eyes to the fact that exciting wines can be made from all manner of fruits, as long as those fruits have exciting aromas an flavors. I have to admit though, that this is the first kiwi wine that I enjoyed drinking, and that I still don’t know if this is just one of a kind. Actually the wine’s bouquet reminds me as much of passion fruit as kiwis, and perhaps that’s the reason that it also smells a little bit like a good Riesling. The balance is very different though, for the acidity is fresh, but doesn’t have the drive of Riesling. Then there’s a tannic element in the aftertaste which is different to the tannins of any grape wine I can remember drinking, but if it’s made from kiwis, then surely it should taste very different from Riesling or any other grape wine. It certainly made me sit up and say, “what the hell’s that?” Yes, a kiwi wine from New Hampshire blew my mind! Not Riesling? Not even a complex aromatic white? Nor even a rich and subtle red? No. My wine of the month spot finally returns after a long break due to work on BEST WHITE WINE ON EARTH – The Riesling Story (pub. Stewart, Tabori & Chang June ’14) with the wine I have been enjoying the most during the last few days. 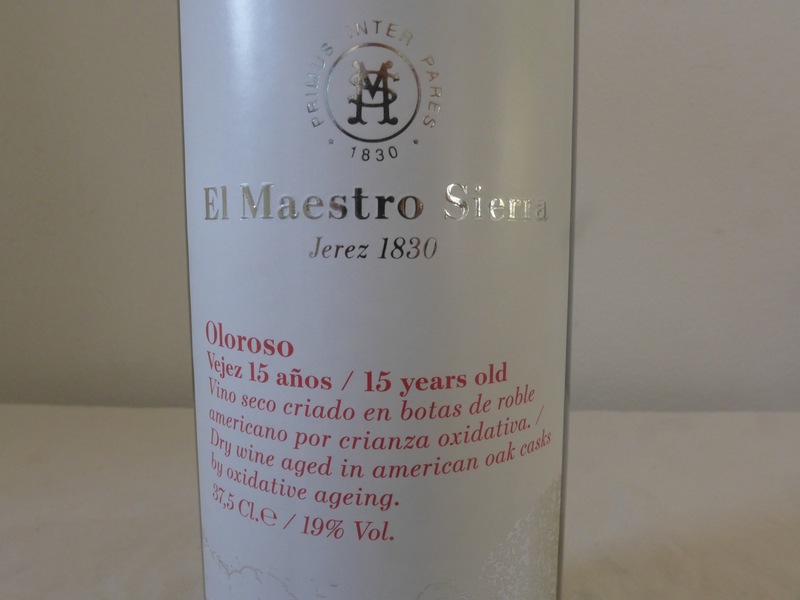 This is a wine style which Riesling can’t do, because the kind of long-term and hard-core oxidation which developed the toasted nut and dried citrus peel aromas of this elegant, discreetly bitter Oloroso sherry just destroys the things which make Riesling enticing and fascinating. In contrast, the Palomino grape seems to lap this kind of treatment up revealing a completely different side to its personality to the fresh and lively character of pale and young Fino and Manzanilla sherries, that I also enjoy in summer. This is one of the great winter wines, and it’s still too little appreciated right around the world outside Spain. If the bitterness of this Oloroso is a bit too much for you, then try it with blue cheese. Yes, this combination is anything but classic, but the slightly sweet creaminess of blue cheese make this kind of sherry taste yet more mellow. My only wish is that I could buy it here in New York for the friendly price I can get it in Berlin! Rich, but bone-dry Blanc de Noirs made from the Pinot Noir grape (called Spätburgunder in Germany) are hardly a traditional strength of the German wine industry. However, that’s exactly what this month’s wine of the month is. What makes this all the more astonishing is that this is something I “discovered” in NYwineC very recently. When I saw the name I thought, “who the hell is that?” and “why don’t I know this producer?” When I tasted the wine, which manages to combine a considerable amount of power with great clarity and near-perfect balance, I was doubly amazed. The color was very distinctive too, with just a pale hint of rose like some champagnes. 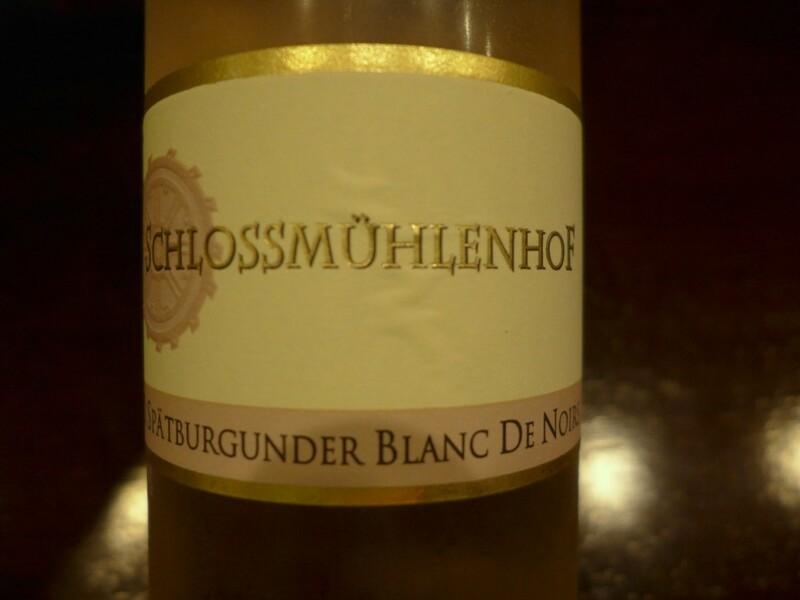 This wine is a testament not only to a talented young winemaker, Nicolas Michel of Kettenheim – “where the hell is that?” I thought – who has obviously learnt a great deal in very few years, but also to the region of Rheinhessen which a few of years ago I started calling the Dream Factory of German dry white wine. The reason for this piece of journalistic hyperbole is that no other German wine region has so dramatically turned itself around in such a short time. That wouldn’t have been possible without a great network of young winemakers there, and obviously this network has now grown to the point where it’s so large that even I’m not aware of all its members! Congratulations are also due to NYwineC importer Savio Soares for discovering this one faster than I did! PS The umlaut (those two dots above certain German vowels) is actually easy to use. It just softens the vowel. For example, “ü” is pronounced “ue”. It may not yet be June as I write these lines in New York Wine City (NYWC), but I’m doing so with my computer balanced precariously on the windowsill in order to get at least a breath of fresh air on this hot summer’s day. 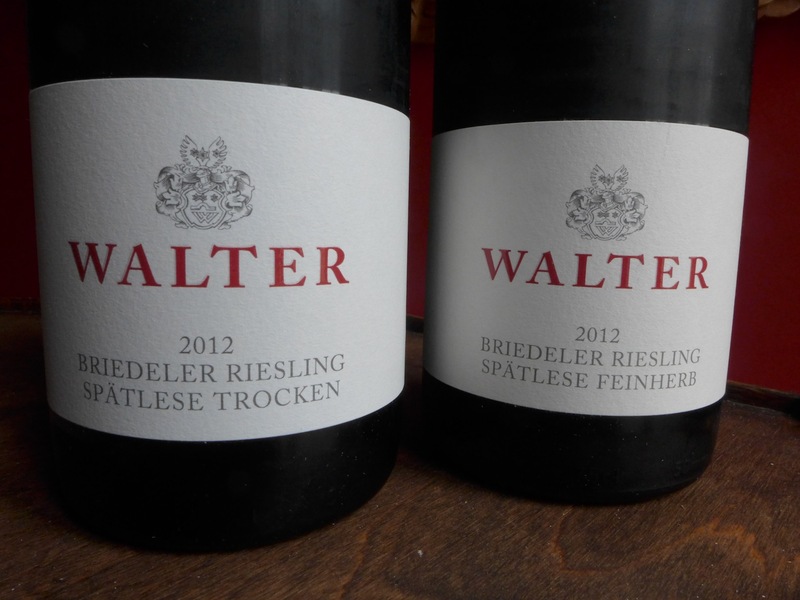 A breath of fresh air is exactly what these dry and medium-dry Rieslings from Weingut Walter in Briedel are. But wait a moment, “Briedel, where the hell’s that?” I can sense a bunch of you thinking. Well, it’s just down the road from Pünderich on the Mosel where the famous Clemens Busch estate is based, although Busch’s fame is also a rather new. Only a few years back Pünderich was also off the radar screen for most somms and journalists on Planet Wine. “And who the hell is Weingut Walter?” many of you are no doubt also wondering. Well, I met Gerrit Walter in November 2008 when I was a guest student at the Geisenheim wine school on the Rhine. I immediately sensed that he not only had a dangerously sharp sense of humor, but was also a really good winegrower in the making. Gerrit, who’s now in his mid-twenties made his first wines in 2009, and 2012 is his breakthrough vintage; this time every wine is excellent. And the prices are still really friendly! Why did I pick these wines, which are not available in the US and even in Germany are best obtained direct from the producer? One of the purposes of this website is to counter the influence of rigid structures in the wine market which make it difficult and sometimes nearly impossible for talented young winegrowers like Gerrit Walter to get a toehold there, which denies you the consumer the choice you ought to have. This is the fundamental reason for my opposition to those rigid structures, apart from my general and long-standing opposition to rigid structures of almost all kinds (constitutional rights are a rare exception). These wines would delight so many of you this June. The 2012 Briedeler Riesling Spätlese trocken has a crisp acidity, but also masses of fresh herbal aromas (think mint!) and a lot of power in spite of the moderate 12.5% alcoholic content. For anyone who finds this wine not fruity enough in character, and for those of you who prefer their Riesling with a hint of natural sweetness Gerrit Walter’s 2012 Briedeler Riesling Spätlese feinherb is almost sure to please. It’s brimming with peach and blackcurrant aromas, is really juicy without being frankly sweet which means it would be ideal with spicy (also spicy and sweet-sour) Asian dishes. What about a green Thai curry and this wine to make you break a sweat and cool off? That question is also addressed to wine importers. 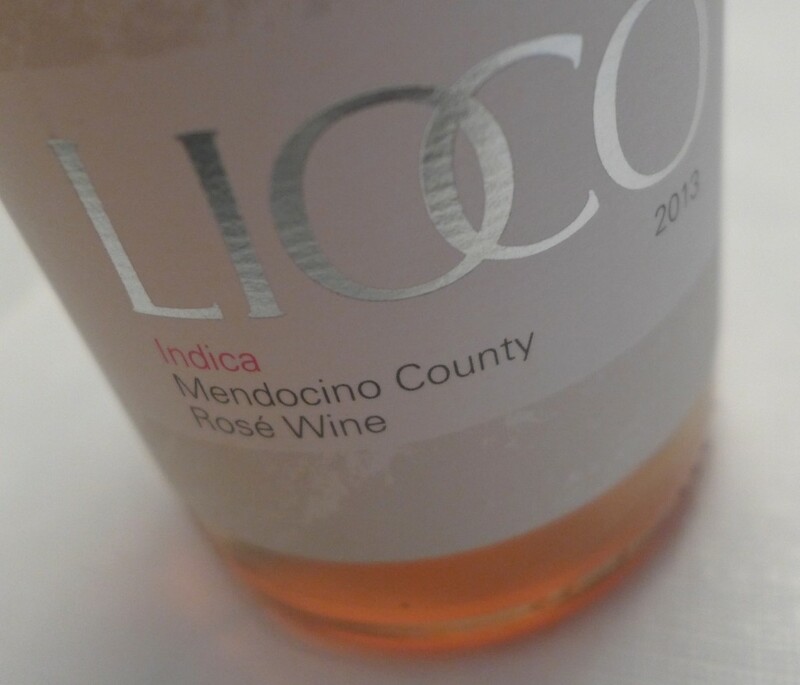 Let me be blunt: why aren’t these wines available even in NYWC?